I have an unpopular opinion to share. Before you come at me, please know I gave it a fair try. I have had it on at least three separate occasions and tried different things each time. 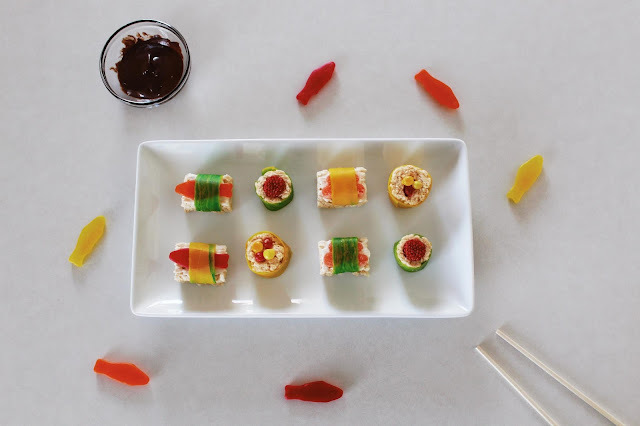 I feel like I miss out since I am not a fan so, I decided to make sushi I would like. 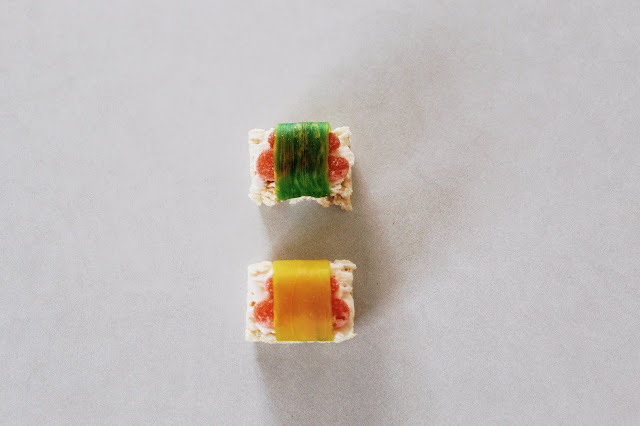 Cut one Rice Krispie Treat in half. With the pastry brush, brush the top of one of the halves with melted white chocolate. Place your choice of Swedish Fish on top. Cut Fruit By The Foot into a three inch piece. 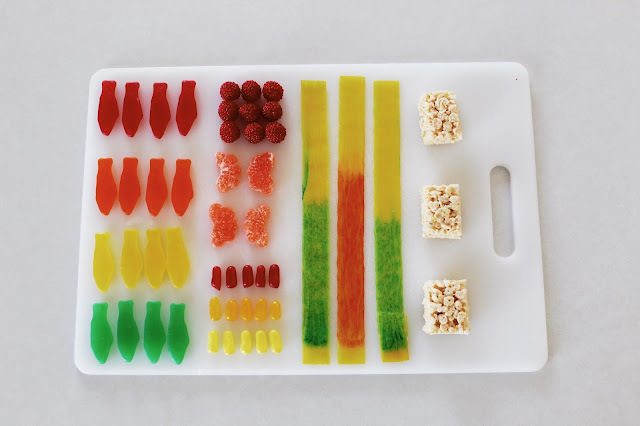 Place it over the top of the Swedish Fish and down the sides of the Rice Kripsie Treat. Press the ends firmly to the Rice Krispie Treat to hold in place. Using the rolling pin, flatten one Rice Krispie Treat to half its original height. Place a Haribo Berry at the top of one end and roll until it's completely encased. Cut of excess Rice Krispie Treat. Wrap Fruit By The Foot around the entire roll and cut off excess. Press the Fruit By The Foot firmly to the Rice Krispie Treat to hold. Cut one of the Orange Slices in half. Cut triangles along the ridges of the orange to make it look more like salmon. Place one half of the Orange Slice on top of the white chocolate. Place it over the Orange Slice and down the sides of the Rice Krispie Treat. Press the ends firmly to the Rice Krispie Treat to hold. Cut each Mike and Ike into three equal pieces. 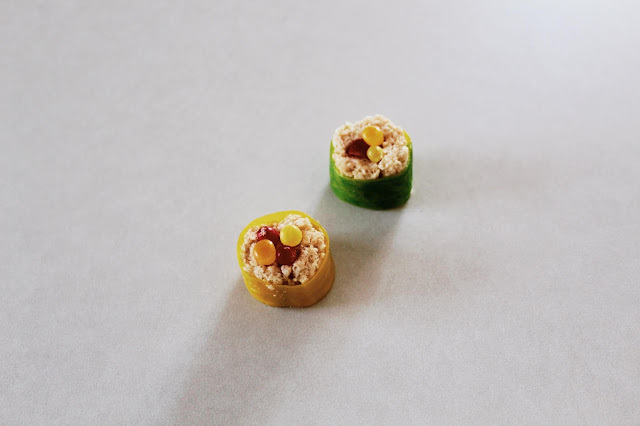 With the rolling pin, flatten one Rice Krispie Treat to half of its original height. 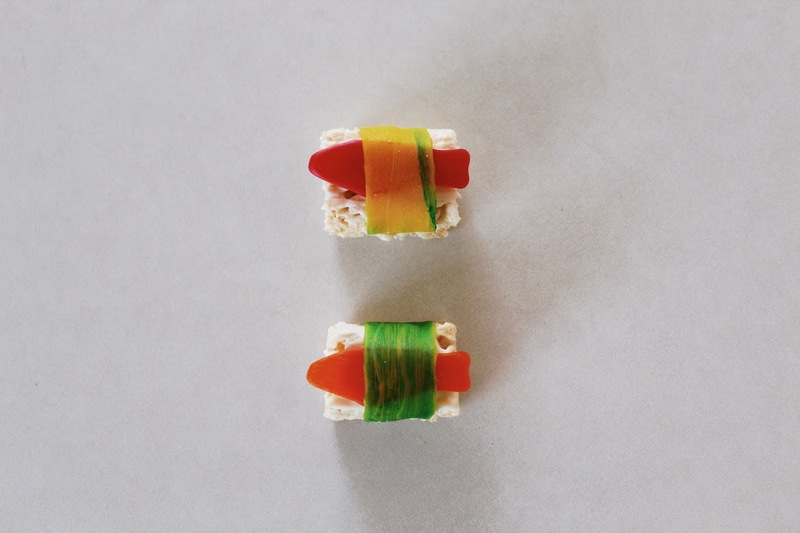 Place the Mike in Ikes at the end of one side of the Rice Krispie Treat in a single layer, an inch or two along the treat. Roll the Rice Krispie until it's completely encased. 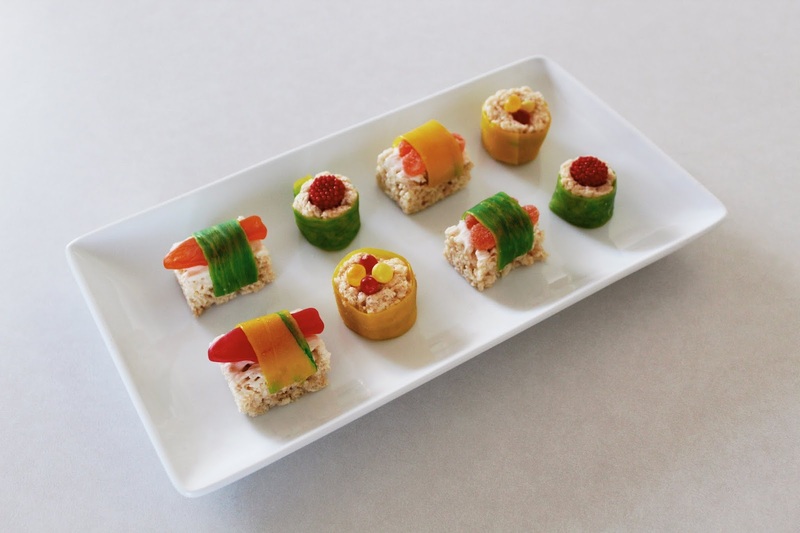 Wrap Fruit By The Foot around the entire roll. Press Fruit By The Foot firmly to the Rice Krispie Treat to hold. I melted a little bit of milk chocolate in a small bowl for our "soy sauce." Erik loved the taste of the entire candy sushi dipped in it but, I found it a little too sour for my taste. I did enjoy dipping things in it individually though. These turned out so fun and were super easy to make. There are a million different ways to make them too! As you may know, Erik and I celebrate Chinese New Year each year. 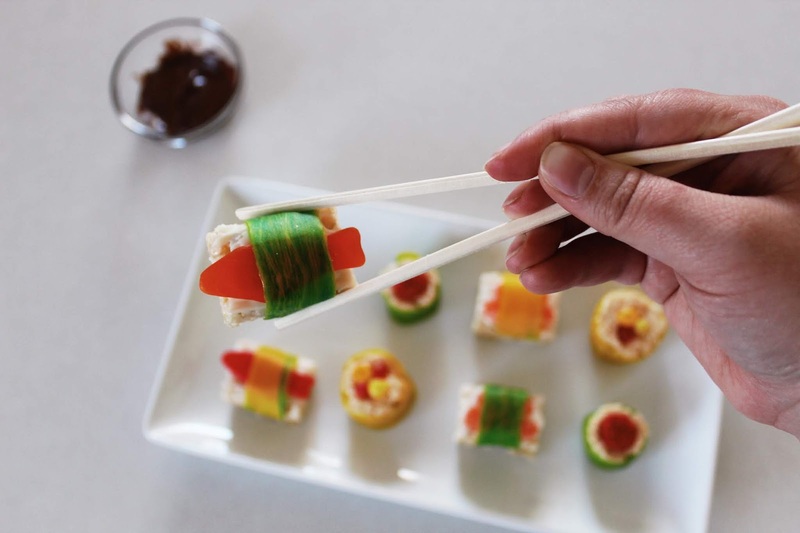 We will be celebrating with these fun sushi. 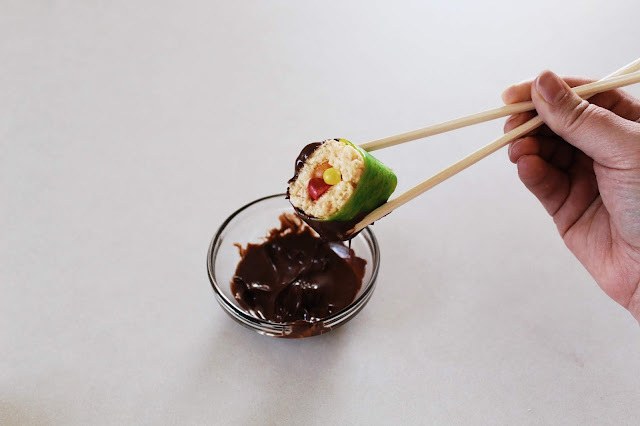 I know that sushi is Japanese but, the Japanese did celebrate Chinese New Year once upon a time. 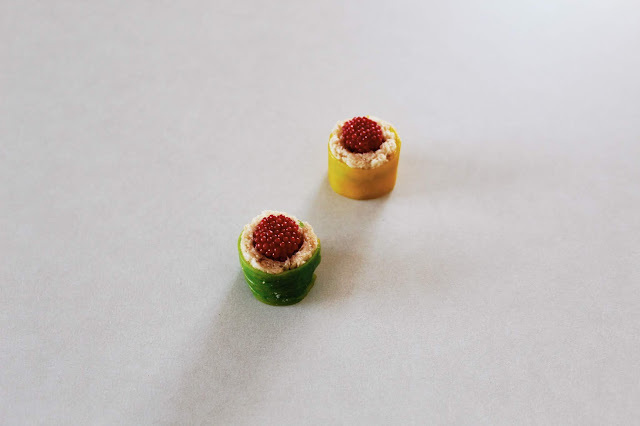 These sushi would be perfect for many other occasions too. Valentine's Day, it's coming up!, birthdays, date night or just because. 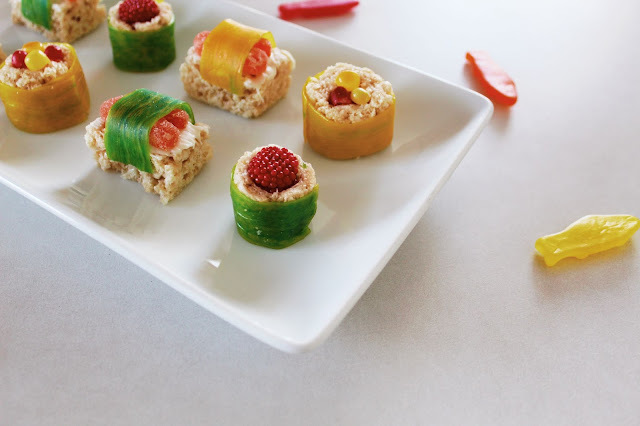 What would you want in your candy sushi roll?